What’s Your Favorite…. Way to Overcome the “Back-to-Work” Blues? Happy New Year, our friends! What is YOUR strategy?Â Please post your ideas in the comments section below. I would say make a list of activities my family and I really enjoyed. Also I would research maybe some actinides my family got to miss and possibly put on the list for our next trip. I always have several podcasts and music loops downloaded to my phone. Every morning when I get to work I get out my headphones and get lost in the Disney magic!! And I research resorts, FOOD and attractions to plan my next trip! I listen to Disney music whether its Park music or my favorite movie soundtracks while I am working, or driving in the car to do those oh so lovely chores. 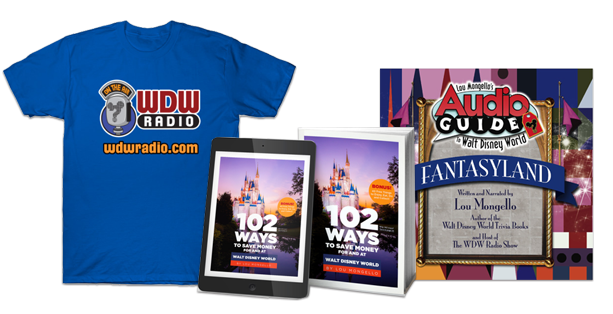 I also listen to WDW Radio while I am working, since I work from home its great to have Lou’s podcasts on in the background for me to listen to and enjoy while I am working away. I also start planning my next Disney vacation at the first of the year for the fall and look at all the Disney website and fan sites/blogs. 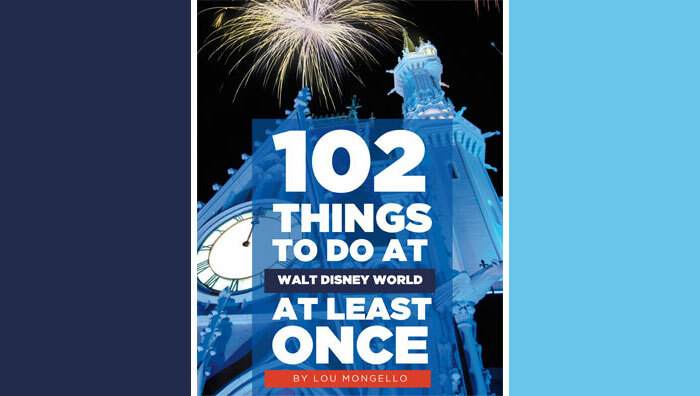 Reading great Walt Disney World Planning books, ordering the newest free planning DVD and watching it. Talking to others about Disney and possibly planning a vacation. My first job is usually organizing teh photos and videos from our trip. This includes creating our pre-ordered Disney photopass photo book. Once that is created and ordered, it’s time to start planning the next trip, and go online to give others advice on how to make the most of their trip. Your 2 1/2 hour podcast helped ease into work, for starts. Plus, entering in the Disney One More Disney Day contest and daydreaming when I win helps, too. Re-entry to “real” life is hard after a fun Disney vacation, especially one over the holidays as we just enjoyed. It’s double depression! There’s a fine line between “keeping the magic alive” and taunting the family! When at WDW, I purchase little items like pencils, chocolates, boxes of cookies + hoard the stickers you get everywhere… then I surprise the family with them in their lunchboxes, one a week or so. It’s hard not to smile when you find a Mickey sticker on your pb&j sandwich bag! Or when you reach in and pull out a WDW napkin! I also cook WDW favorites here at home… for my daughter’s 13th birthday, I baked her a tie-dye cheesecake from the Pop Century recipe! Being a Disney kid trapped in a 31 year old body, I beat the blues by gorging myself on all things related to Walt Disney World. I’ll listen to park music, and especially Lou’s audio guides and podcast. If times get especially hectic, I may order a new lanyard, t-shirt, or something from the DisneyStore.com’s theme park merchandise section just to give me a bit of a boost with mouse-eared retail therapy. Anything Disney always reminds me that there’s a great big beautiful tomorrow shining at the end of every day. Going through the hundreds of photos we take each trip. I’ve never been one for still photographs but I grew up in the home video VCR era so I have to say that my favorite thing to do is take my flip camera with me and capture some highlights, then post them to my computer and watch it all when I get home. It’s what I recommend considering the high quality you get from the flip cameras and they only cost around $100. Can create some great YouTube videos from your trip as well to share with others. I have to agree with the others who suggested listening to Disney Music, specifically WDW park music. The music of the parks is one of the most magical parts of your experience in WDW. Listening to that music at home with your eyes closed brings me right back. Looking over pictures from past trips is also a really good way to remind you of your experiences. I listen to podcasts, read Celebrations both current and past issues, I edit photos and videos from the trip, I listen to park music, I read glove and forum posts, and I watch Disney movies. Most of all, I start planning the next trip!!! Telling family and friends what they missed by not going with us. I relive my vacation every time I tell it. We have our computer in the family room, so we put up the trip photos as the screen saver. While watching TV, it’s nice to look over and see those memories again. Definitely, go through all the pictures and planning the next trip. We usually do not visit all the attractions and save some for the next trip. So, if we bypass the Teacups this year, we’ll ride it next year, etc.